The Dubberly Design Office recently published a poster depicting “the 892 unique ways to partition a 3x4 grid into unit rectangles.” This project was inspired by a patent received in 2006 by William Drenttel and Jessica Helfand of Winterhouse ("Method and system for computer screen layout based on a recombinant geometric modular structure," Patent No. 7124360) that modeled screen-based grid systems. Here is a 100-second animation, which is based on the poster, cycling through all 892 variations. Read more about it here. 1) "At least one, and preferably a majority of the grids are dimensioned based on the proportions of traditional Japanese tatami mats." So in the abstract of the patent, they acknowledge the foundation of the patent is traditional knowledge. 2) Seriously - once all the technical gibberish is extracted, they're essentially patenting grid-based layout, right? How do these patents get through? I'd love to hear the designers comment on Mr. Hanley's comment above. And, I'm curious to know how you patented this design concept. Through the US Patent Office? What evidence did you provide to qualify your method or design concept as unique and patent-able? Further, how do you actively protect such a patent? 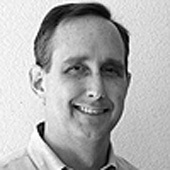 Hugh Dubberly is a partner at Dubberly Design Office in San Francisco.